Perfect, great project again! Can you please share the schematic for the new ESPToy 1.2? Or is it not opensource? It is open-source. I found a couple of minor issues with the current version so I have been holding on to post the schematic. The final schematic will be posted very soon, within a week or so. If the LED is off, what is the current consumption of this device (mA)? Does it have a sleep mode that can be entered from the Lua script? That’s dependent on the current consumption of ESP8266. Yes there is a sleep mode, and it’s available in the Lua script. I got one and it works, it is a nice little board! Wifi range is less than my home router, unsurprising considering the tiny built-in antenna (haven’t tried adding an external antenna from the u.FL connector). In case anyone else was wondering about the current draw, I measure 78 mA at 5.16 V when plugged in with the default Access Point mode running, just the small red power LED on but not the RGB LED. The current draw does not change when there is a client connected (this is with a slow reading meter, no doubt there are higher pulses during wifi transmit). I am wondering if someone explain to me and others how to receive and send data stream (Data-voice,…) by high speed to a website without using a laptop or phone to connect just after turn-on it connect to a specific web address using available wireless internet and start communicate with it. Voice streaming? What are you smoking? The current schematic (v1.2) on does not have the serial port pins going to the header. When the USB cable is unplugged, does the CH340G power down ? If so, the serial port is lost to use. Is this something you can look into, and make available ? Neither the CH340G nor the pin out has anything of any sort to do with enabling or disable the serial pins. Unplugging USB cable just means your computer will not be able to talk to the module through serial port, but the TX/RX pins on ESP8266 work without the USB cable. Although the current design does not map out the TX/RX pins (to be fair, few sensors these days use TX/RX because it’s very slow), you can solder wires directly to the ESP8266 module. Just locate the TX/RX pins on the module (http://tech.scargill.net/wp-content/uploads/2015/01/esp-12.jpg) and solder two wires. My new blog post: http://rayshobby.net/recent-news-and-updates-on-esptoy/ briefly shows ESPlorer v0.2.0-rc2. I’m from the Russian city of Yaroslavl. I uchusi programming for ESP8266. How can I insert a button in the program code to the LUA for easy on LED indicator. in esptoy.htm and init.lua sovmesnogo to work. I am interested in how you deploy the module with ‘demo’ website and pages and init.lua already embedded. I am looking to make some modules for my family and friends (spread around the world) and would like to be able to deploy updates as they become available. Most of them would find it extremely challenging to upgrade their device. I have already worked out how to install .lua pages and have them compile to .lc, now being able to deploy a firmware image with embedded lua code would be the icing on the cake – especially if I can do it OTA. We don’t provide OTA support yet. OTA will require you to have enough flash memory space to store the firmware over the air, and I am not sure if this will be feasible. Can we have an option to connect RTS (CH340#14) and DTR (CH340#13) to respectively RESET* and GPIO0 on the ESP8266? This will allow the esptool to upload programs without pressing buttons. Yes, I just recently became aware of this and in the next revision I will definitely adopt this design. Thanks. Will try to rework the boards with some jumper wires for now. 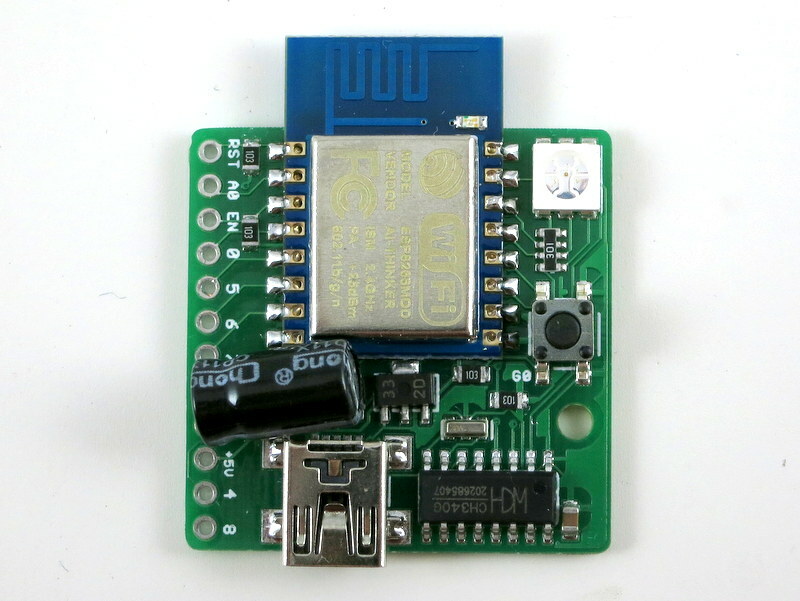 I have the ESPToy 1.22 and am having trouble finding the pinout definitions– there are lua pins, GPIO pins on the ESP-12 module, and ESP8266 Pins. Above lua pins 1-4 are defined with GPIO numbers and the connection to the onboard LEDs and button. Oh, I see, it looks like the top white lettering are lua pins and bottom white are GPIO. If I want to use the node.dsleep(microSecs) it needs the ESP8266 pin 8 XPD_DCDC connected to the RST pin, but we have lua pin numbers, GPIO pin numbers, ESP8266 pin numbers, ESP-12 functional names, and ESP8266 functional names. Is there a reference that correlates all these? 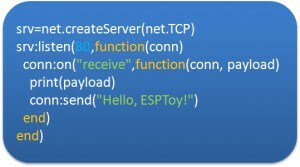 Which ESPToy connector pin is XPD_DCDC? It seems like it might be GPIO16/”0″. BTW, if I read the CH340G data sheet correctly, it seems it is supposed to detect an unconnected USB and then consume 80uA? But the ESP module is supposed to be <12uA in deep sleep. It would be nice to somehow disconnect the CH340 from the LiPo power– maybe an extra diode? The silkscreen on the front shows Lua pin names, and GPIO names are on the back. scroll down to GPIO New Table section, there you can find the mapping between Lua pin numbers and GPIO pins. If you are using Lua firmware, use the Lua pin numbers; otherwise (e.g. if you are using Arduino for ESP8266) use GPIO numbers. There are some ways to minimize CH340G current consumption, which I’ve tried in the past. The modification is non-trivial though: basically you want ESP’s VCC pin disconnected from the main VCC, and instead it should connect to VCC through a schottky diode (e.g. 1N5817). Then, you also have the battery’s positive pin connected to ESP’s VCC through a second schottky diode. This way, ESP can be powered either from USB or battery, but CH340G will only be powered by USB and will not be powered from battery. Hi, can this little wonder “push” to a website? in other words, can it lets say every hour load same data some where else? HTTP, FTP or whatever? Yes it can. 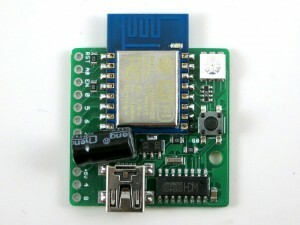 Google ‘ESP8266 sensor’ and you will find plenty of examples of using this chip as a sensor and uploads data to a server periodically. and that’s as far as I get, I tried holding the button down while plugging into the USB, got no further? With Arduino, I haven’t been able to find the board – ESP822 toy([email protected]) or serial port to /dev/tty.wch ch340 USB -> rs232, my version shows COM3 so I assume that’s correct. Were you trying to talk to ESPtoy as NodeMCU? The new version of ESPtoy no longer has NodeMCU firmware — instead it has a demo program done using Arduino. I highly recommend using Arduino to program it, not NodemCU.